When adding Starver®X the water might go cloudy. This cloudiness will disappear within 24 hours as long as the pump and filter are left to run. Starver®X does not replace the need for a phosphate removal program. 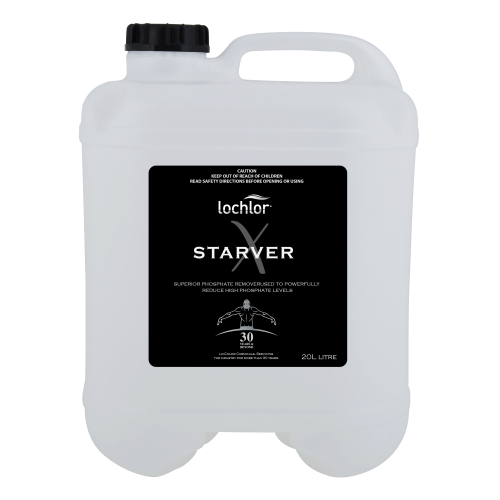 After the addition of Starver®X regular maintenance dosages of Starver® Pool Maintenance should be added at a fortnightly rate of 500mls per 50,000L. Starver®X is compatible with all registered sanitisers and does not affect probes on automatic liquid feeders or other dosing units.